On arrival at the Kuala Lumpur Airport, meet our tour representative who helps you with an assisted transfer to the hotel. Complete the check-in formation. The day, now, is at leisure. You can indulge in the activities of your interest. 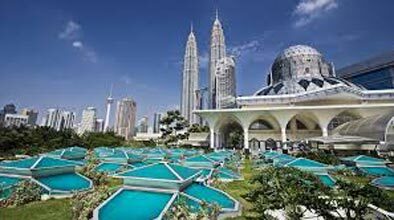 Kuala Lumpur is an amazing Asian cyber city that has historic temples and mosques on one hand along with space-age towers and shopping malls on the other. Explore the place on your own today. Overnight at hotel. 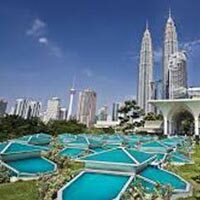 Post breakfast, embark on a city tour of Kuala Lumpur. The first highlight of the day is the confluence of River Gombak and River Klang. This is the site from where the name of the city had originated. Continuing sightseeing, you also visit the King's Palace, and the National Monument. Drive past Lake Gardens, boasting of lush views and then halt at the National Mosque for a photo-opportunity. The next attraction is the popular Moorish styled railway station. Independence Square is your next visit of the day. Now head to Sultan Abdul Samad Building, also called the 'Clock Tower of Kuala Lumpur', former Malaysia High Court bases. Then, there is a photo stop at the brilliant Petronas Twin Towers. Thereafter, proceed for the entrance in KL tower. The remaining day is free. Stay overnight. After breakfast, the day is at leisure. You can either relax or can visit the popular local markets for shopping. Later, get an assisted transfer to the airport to board the flight for your onward destination.